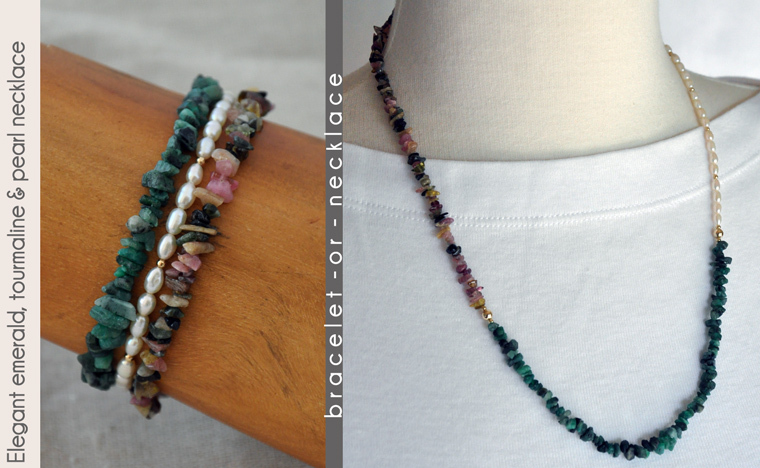 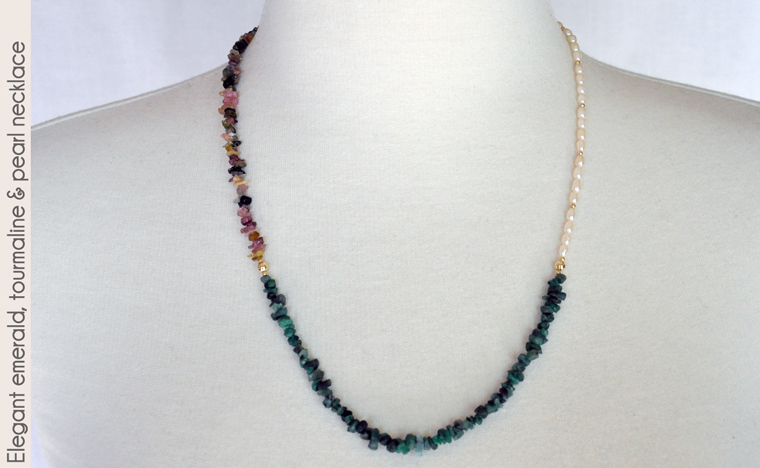 This 22" necklace is a study of contrasts: green emerald and purple-pink tourmaline; rough gemstone chips and smooth lustrous pearls; jewel bright colors and crisp neutrals of white and gold. 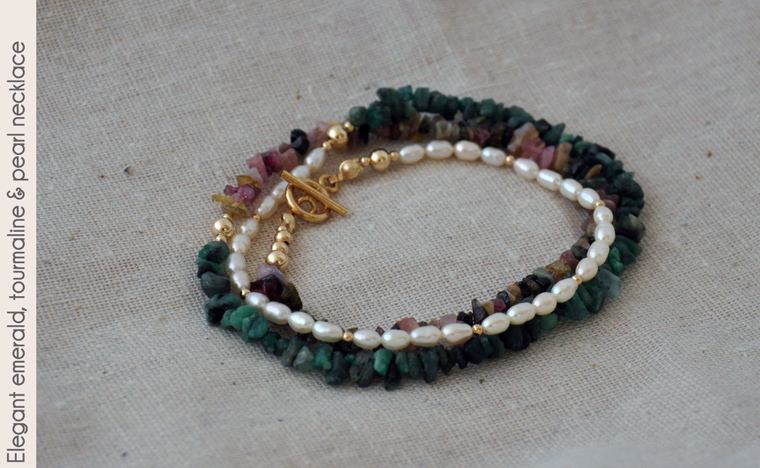 The combination can be worn long, as a single strand necklace, or triple wrapped as a stylish and popular bracelet. 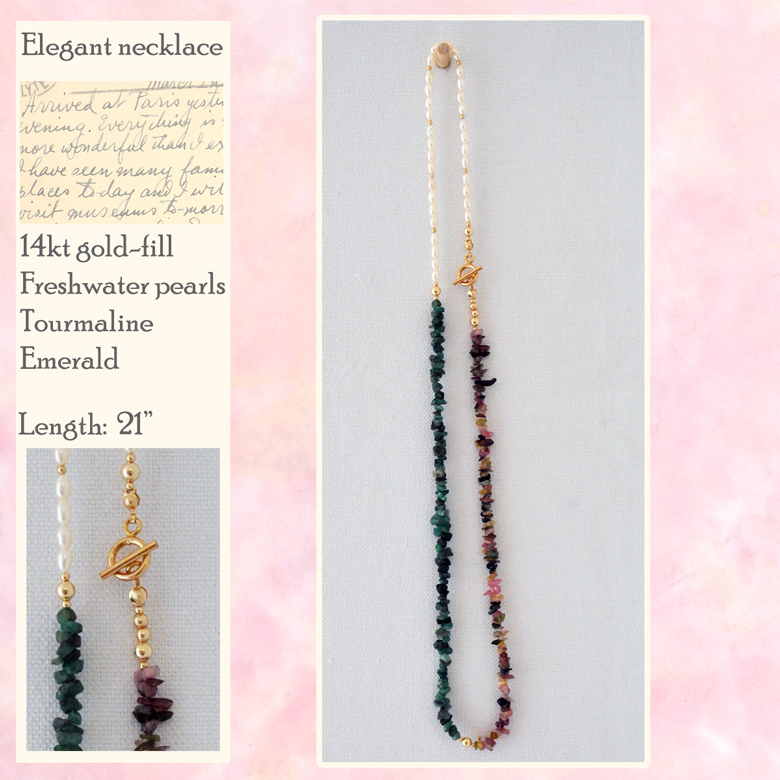 14kt gold-fill toggle clasp. 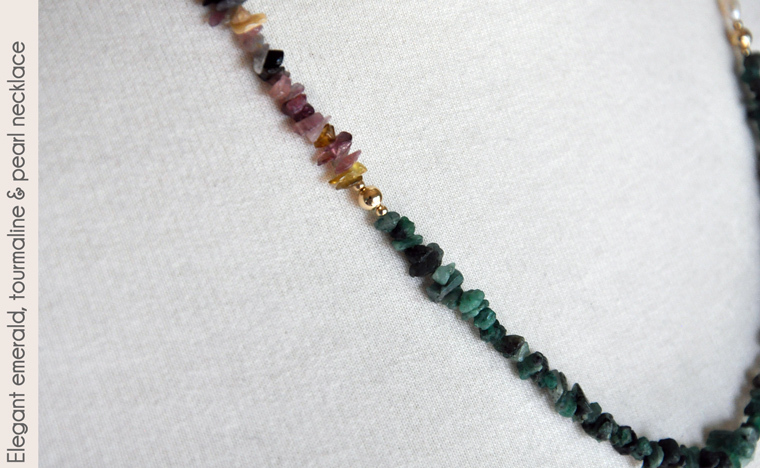 This 22" necklace makes a terrific single strand accent for a top or can be triple wrapped for a fun and stylish bracelet.